Just when I think I’m all out of loving Croatia more, I am giving another million reasons to fall deep in love with this country I call home. 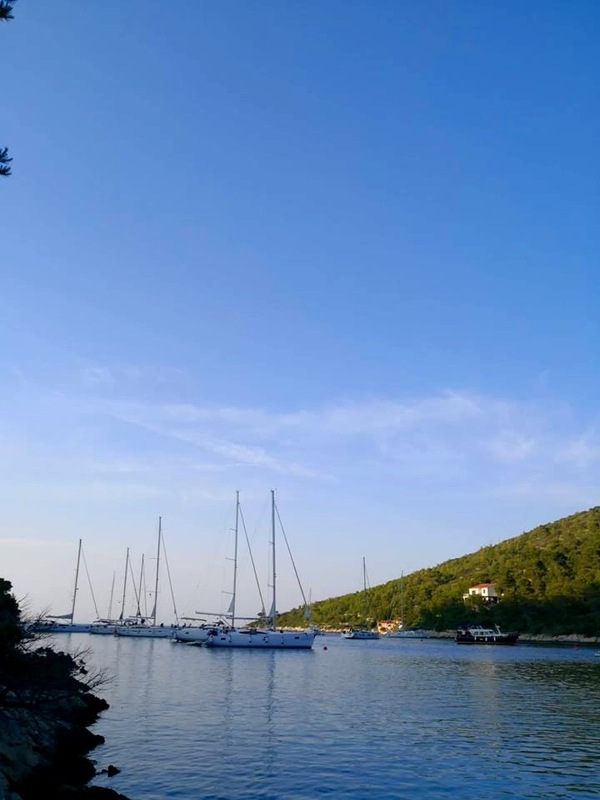 I had a friend from London recently visit who opted to switch his annual Ibiza trip with the boys with a week on Island of Hvar. It took me about 4 years to get him here but it was worth it. He couldn’t stop sending me pictures of his adventures stating how beautiful it is. He was stunned. “Yes, I know- Welcome to my backyard,” I said. 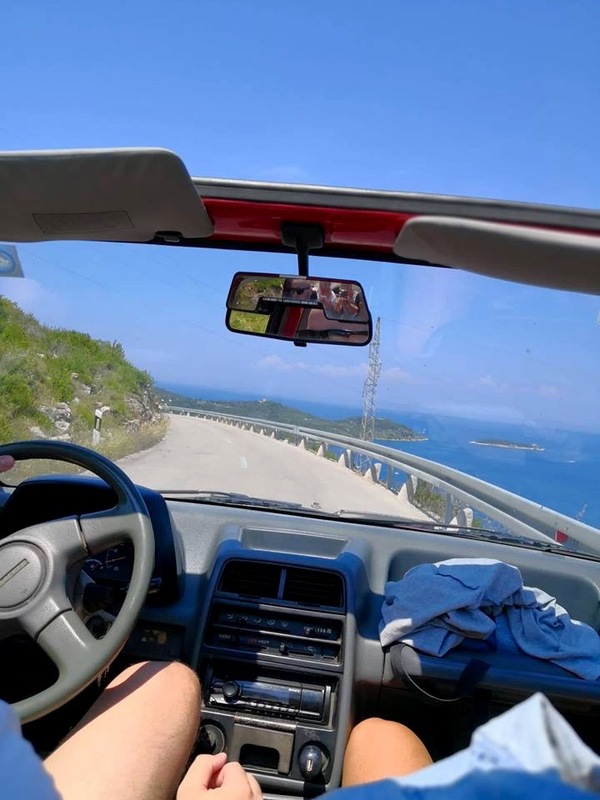 Once he got back to London he said that Croatia has now replaced Ibiza, he wants to continue uncovering the beauty of this magnificent country. It’s very easy for me to sell Croatia as a place to visit to someone who has never been. I already know after one day that they’ll fall in love and revisit again and again. Croatia becomes an obsession. For me, personally, having been here a few years now, I often feel like I’ve “seen it all” without literally seeing it all. Everything is at my feet in Croatia and that’s the beauty of living in this country however, I always feel like I have plenty of time to experience what the Croatia has to offer. This makes me a little bit lazy. In Zagreb, I tend to enjoy my city life and don’t venture too far from my flat. In Zadar, I stay in the Zadar Region. 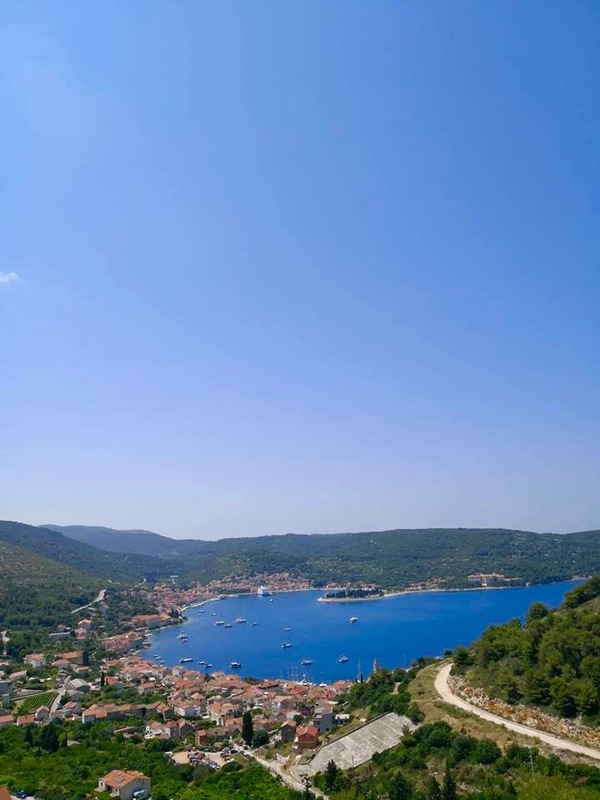 Island of Vis, also known as the Key of the Adriatic, has been on mine and Luka’s radar all year and we wanted to experience it before it was introduced to the rest of the world through the Mamma Mia 2 movie, which comes out in 2018. 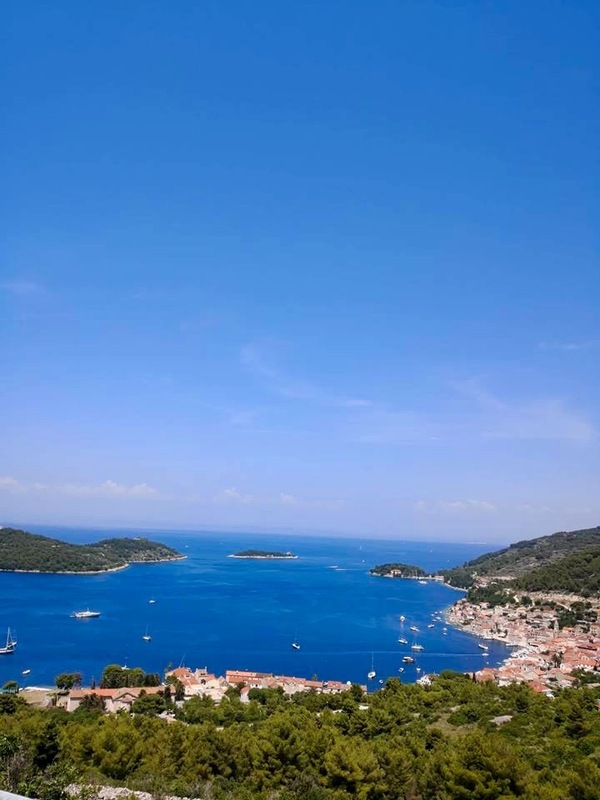 Mamma Mia 2 was filmed on the Island of Vis last summer and we were certain that Vis would end up being the new Dubrovnik, Hvar and Split meaning, filled with tourists with the tourist price tag. Our journey starts at 9am from Trogir Marina. Trogir is just over an hour drive away from Zadar by car. It will take about an hour to get to Island Vis from Trogir by boat. On our way we quickly stop by Krknjasi which is practically empty compared to how it was last September when I visited with the National Tourism Board of Croatia. 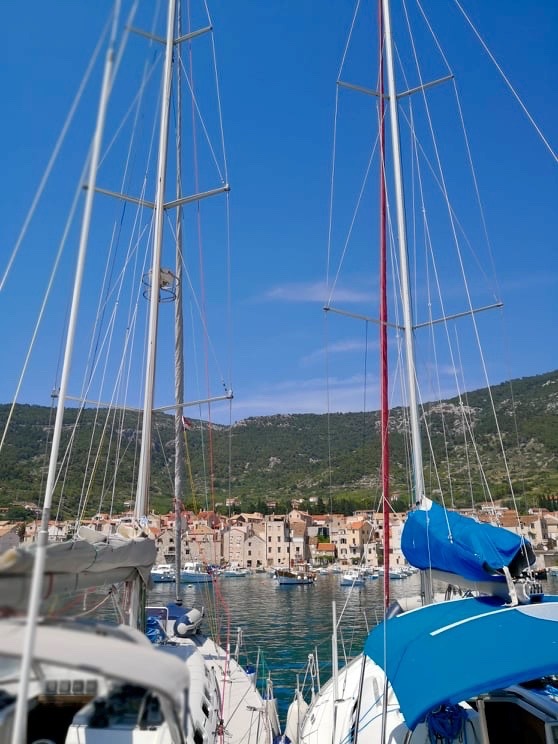 The season hasn’t really started in Croatia, the waters are still fairly empty, June is the perfect time to sail Croatia if you’re looking to see Croatia without the crowds. 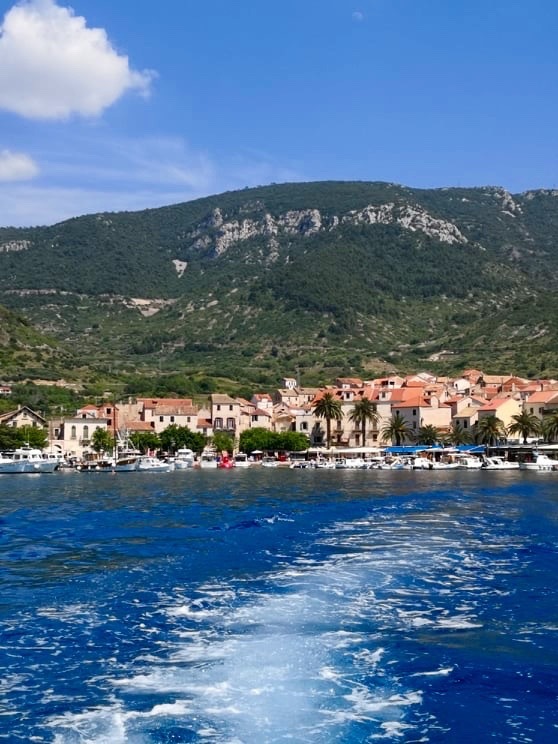 We pass Island of Vis and head towards Island Bisevo, one of the final islands before you begin to cross the sea towards Italy. Island Bisevo is known for it’s caves, there are around 12 you can enter and explore and two years ago with my best friend from Sydney I explored Blue Cave- probably the most famous one. Well, the one that’s being monetised. On the other end of Bisevo Island, the side closer to Italy we stop by a very private cove, one that we don’t have to share with anyone else. “Not many people know about this, I’ve never come here and had to share with another boat, today is great,” he says. 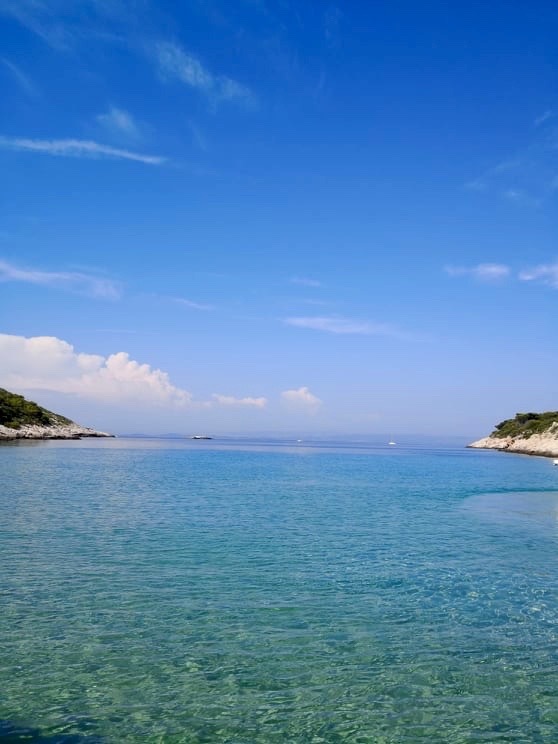 The waters are hues of Croatia’s trademark turquoise and blue, the sun is shining and it’s not even mid day yet. Life is good but then again, life is always good in Croatia. Ina and I decide to watch the boys jump into the sea, we’re not ready to get wet yet. 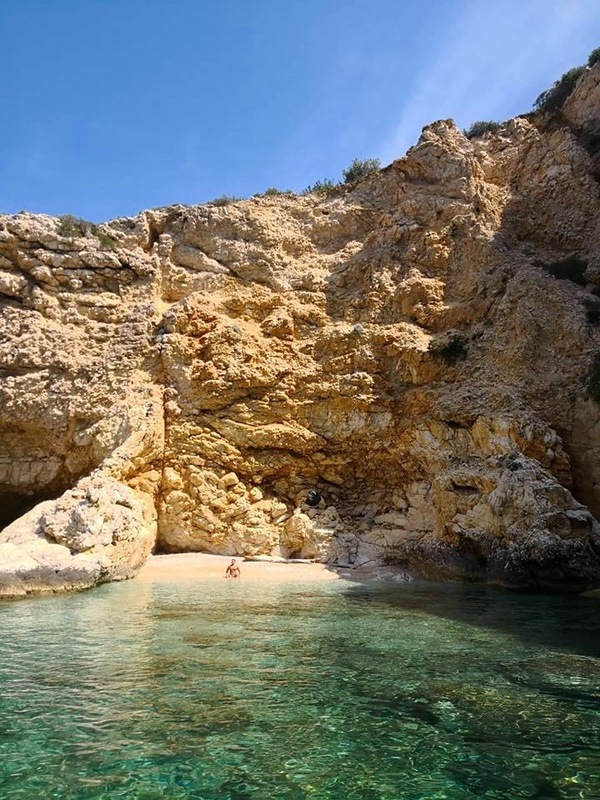 This secluded little cove, featuring a tiny gravel beach is declared “Luka’s Lagoon” and we realise that Luka will now return to the boat a whole different person and we’ll have to hear about the experience forever. Like I mentioned earlier, it takes a lot for a city to really “WOW” me. Sure, all Croatian towns are beautiful and have their own charm but after a while you get used to seeing Croatia. It takes a lot for me to truly be blown away. 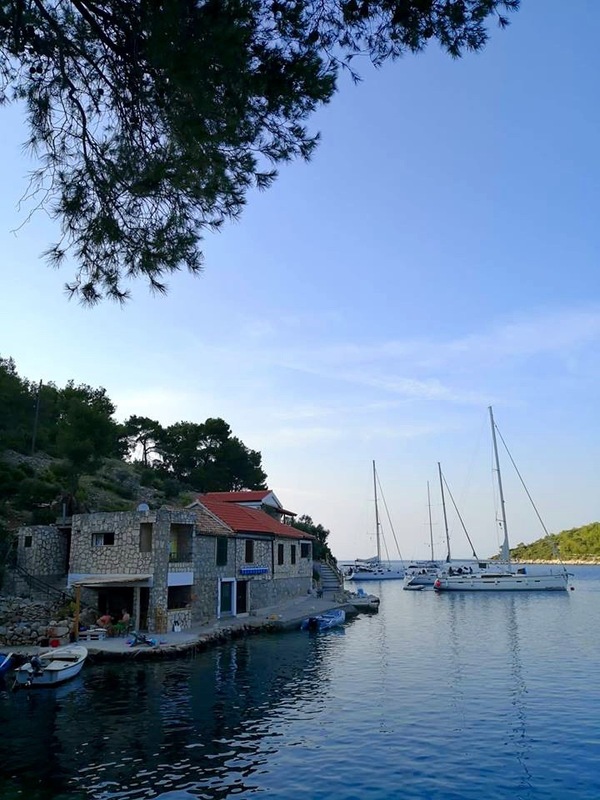 Our next location for the day was town Komiza (Komiža) on Island Vis and I instantly cannot believe my eyes as we make our way into the marina. Absolutely breath taking. We take a break and have some pizza at a restaurant overlooking the marina, mountains and sea, captivated by the beauty of Vis. It’s true what they say, it’s hard to imagine a poor view in Croatia. After lunch Ante tells us we will go for a drive on the other side of Vis to Town Vis by a rental from Blue cave Tourist Agency. 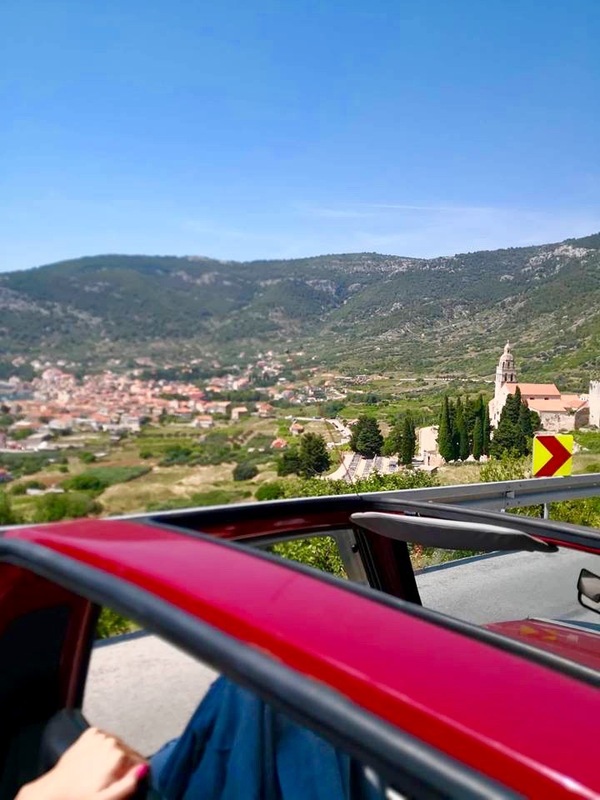 I don’t think there’s a better way to see the Island of Vis (unless you’re a cyclist) than with the roof down of a vintage red jeep! It was such a fun (and often dangerous) scenic drive through a mostly narrow road. There were moments where the road was only one way, eek! Talk about giving on the edge! Komiza is a quaint little town on the western side of island Vis. It has a population of just under 1600 people. Island Vis was known to be closed to foreigners during the time of ex-yugoslavia, only opening in 1989. It officially started attracting tourists only 15 years ago. Prior to that, it was predominately used as a military base for the Yugoslav army. 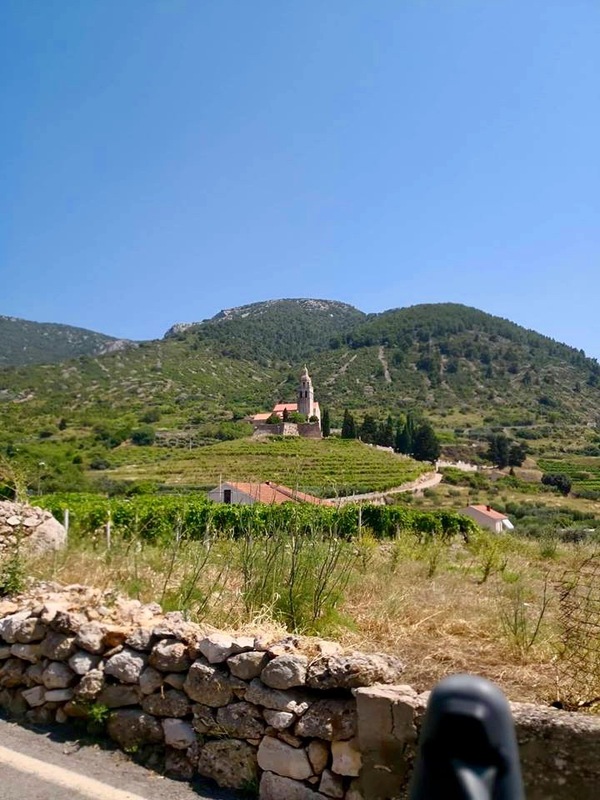 While exiting (or entering) Komiza town and heading towards Town Vis, you can’t help but notice St. Nicholas Church that was built by the Benedictines in XIII century sitting on a hill overlooking the town. During our drive we pass several smaller towns, vineyards and the ‘Issa Grotto Hill House’ project, a holiday home designed by architect Davor Mateković which you would never notice unless someone who knew where it existed told you. It literally blends in the hilltop. The plan was to just “swing” by town Vis as our we had plenty of other secret bays and beaches to see around the island. Vis Town is about two times bigger than Komiza on the other end of the island and about a 20minute drive. Vis Town is rustic, authentic and peaceful. In fact, the whole island is peaceful and don’t be surprised if you encounter butterflies every few moments. There’s something different about the energy in Vis, despite it being the most mysterious island in Croatia. 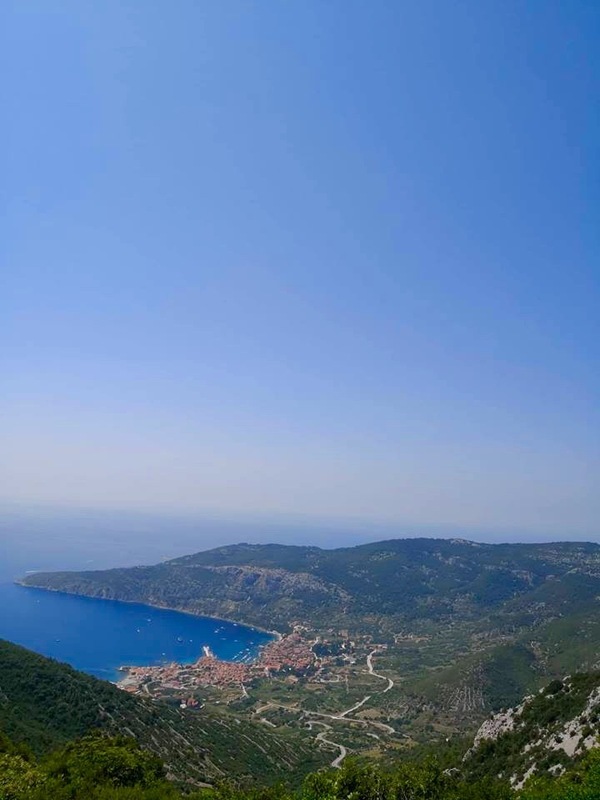 The shot above was taken from one of the highest peaks of Island Vis overlooking Komiza Town. You can’t get there by car, you’ll have to walk up a rocky path. 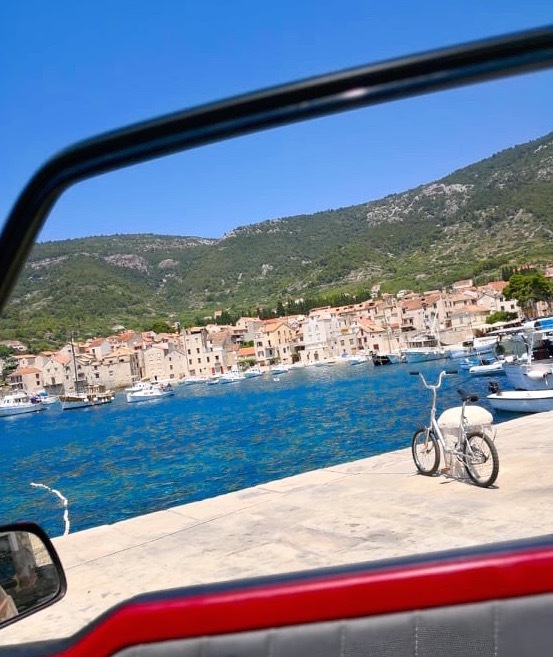 We leave Komiza and get back on the boat to be “wow-ed” a few more times around our own country. Luka and I have both fallen in love with Vis and confirm we’ll look into purchasing property here in coming years. We are taken to a super private beach and home, only reachable by boat. The water is crystal clear and a man who seems to own the home behind him is sun baking, literally living the Dalmatian dream. As I mentioned in my Epic Week Pt. 3 post, I really wanted to see Stiniva Cove this year before the Mamma Mia 2 movie comes out. 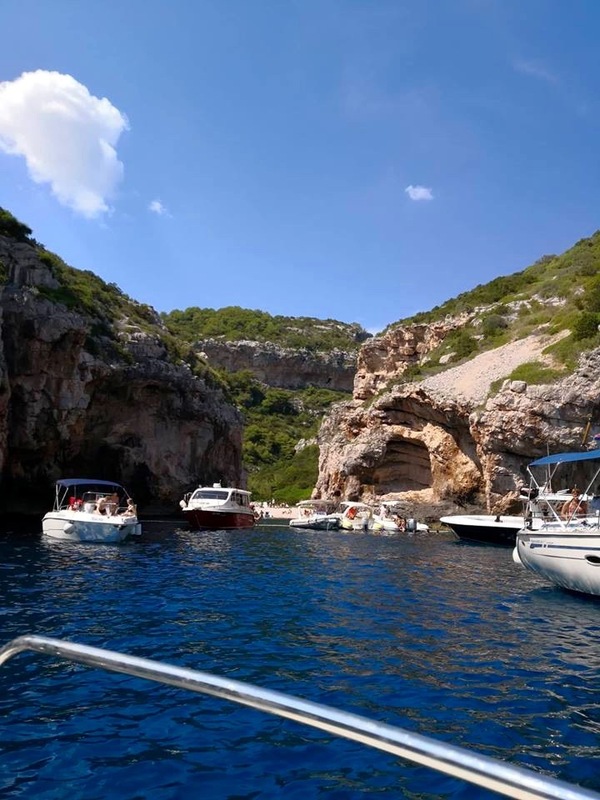 next we are taken to Stiniva Cove but it’s packed with yachts and is busy. We don’t want busy, we want private, secluded and no other people. 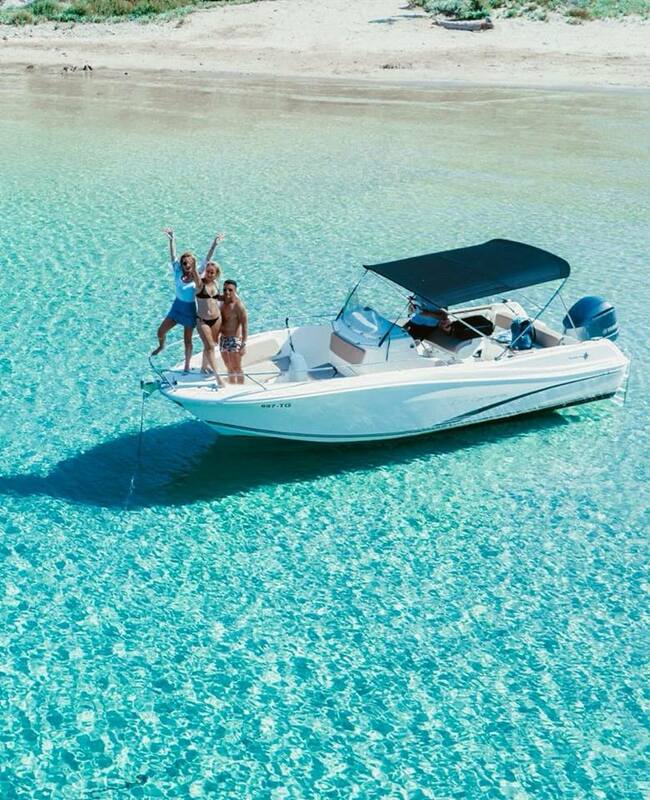 Our next stop is Vela Smokova where the waters are crystal clear and turquoise. I decide to go live on my (private) Facebook page and many people ask where I am, it’s simply stunning. 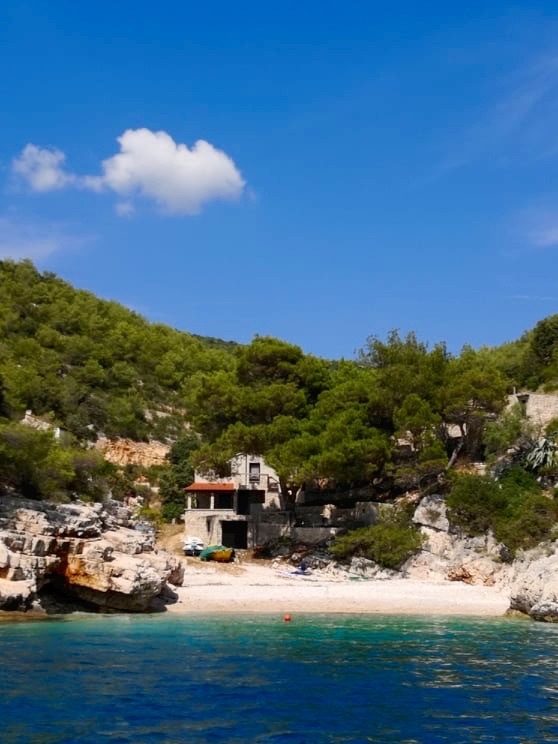 One thing that makes Vela Smokova a little different to your usual beach in Croatia is that it’s all sand and not rocks. Most Croatian beaches are pebbled and often painful to walk on. Luka would argue that I’m just a sook. Our next and final stop before heading home is Stoncica bay where we have dinner at Konoba Stončica. This quiet little bay is a little busier and known to tourists, with private accommodation if you wanted to have a little holiday. The bay is also popular for yachts. I personally recommend Kairos Travel Agency. Such beautiful photos! Heading to Vis in a few weeks and this has made me even more excited! Thanks for sharing ?